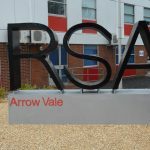 RSA Academy Arrow Vale is an inclusive school where we work together so that all aim high and achieve their very best. Discovery and innovation are at the heart of all that we do. We have high expectations for Sixth Formers at our school. 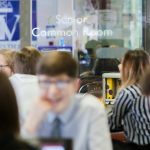 We expect our students to have an active role in the school community, creating links with fellow students in all years also making links with RSA schools and the local community. 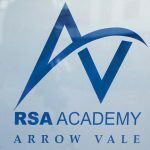 This policy outlines clearly and simply the procedures and protocols which are currently in operation around admissions into RSA Academy Arrow Vale. 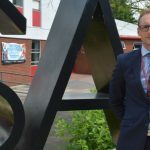 As an Academy we are our own admissions authority, but we have taken the decision to carry on working closely with the Local Authority to ensure that all arrangements are both transparent and fair. At Arrow Vale we give conscious endeavour to ensure that we develop students' moral, social, cultural and spiritual selves. This underpins all that we do, formally and informally, in the curriculum and beyond, as members of our community. The aim is to ensure students have conscious understanding of themselves, and that they develop a set of personal values as citizens. Our Local Academy Governing Board is made with a combination of RSA Nominated Governor's, Parents and school nominated Governors, creating a Body of 9 Governors in total. We have all of the resources students need to excel.